Dorothy Parker hated writing. But she “loved having written.” How do you feel about the process? Do you want to become a happy writer? When I walked home from a client meeting yesterday, I strolled in the dark along the shimmering streets of Broadway. Coloured lights flashed the bright white, red and green semaphore of the season and, in front of Starbucks, a brass trio played a surprisingly delicate selection of Christmas carols. I felt as though I was in a movie! This made me happy, but Christmas also makes some people sad. Mental health professionals report a significant increase in patients complaining about depression and hospitals face higher than usual incidents of suicide during the season. And writers? Well, judging by the high-profile evidence (Edgar Allen Poe, Roald Dahl, Virginia Woolf, (pictured above) Ernest Hemingway, Sylvia Plath and Hunter S Thompson), writing and depression are as inextricably linked as Bonnie and Clyde. For this reason, in my last column before Christmas 2012, I want to present you with a more optimistic view of the writing life. 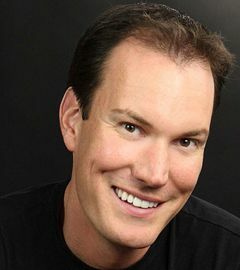 To do that, I urge you to check out this TED talk by Shawn Achor (pictured above). Achor is the author of the international bestseller, The Happiness Advantage, and is regarded as one of the world’s leading experts on the connection between happiness and success. A graduate of Harvard, and a former teaching fellow for the school’s positive psychology course he is also the founder of Good Think Inc.
It’s funny. The story about his sister Amy, the unicorn, had me in snorting tea out my nose. His doctor brother-in-law, Bo-Bo (sp?) was pretty amusing, too. He speaks well. Here is a polished presenter who understands timing, concision and the power of stories. If you ever need to give a speech watch his performance and learn. It’s brief. At just over 12 minutes, he conveys his points with humour and aplomb. I plan on reading his book early in the new year but at 256 pages, I expect it will take me about a week. The video is faster. His central idea is counter-intuitive. I have a deep streak of the contrarian running through me so I feel a special affection for ideas that are the opposite to what our society expects. For example, conventional wisdom holds that if we work hard we’ll be more successful, and if we’re more successful, then we’ll be happy. But Achor argues that this formula is actually backward: Happiness fuels success, not the other way around. Some 75% of our work success, he tells us, (and I replace the word “work” with “writing”) is not attributed to IQ. Instead, it relies on optimism levels, social support and our ability to see stress as a challenge rather than a threat. I realize these suggestions may sound slightly flakey but I’ve done them and I can tell you they make a difference. Even if you don’t believe, watch the video purely for its entertainment value. Meanwhile, have a very happy holiday knowing that I encourage you to take regular breaks from your writing – and that Christmas is a good time to start. (You simply need to commit to yourself exactly when you’ll begin writing again!) As next Tuesday is Christmas, I will be offline, from both blog and newsletter, from Dec. 25 to Dec. 31. My next newsletter will go out Jan. 1, 2013. Happy New Year! P.S. If you’re looking for a last-minute Christmas gift idea for any writing friends, consider giving them a copy of my book. You’ll receive the electronic files immediately and you can copy them onto a disc and then wrap it up knowing that the hard copy of the book won’t be far behind.